Eurocopter (Stand P30) invited a select few journalists to participate in the demonstrations to customers of their EC130 T2 and EC145 T2 helicopters prior to the Helitech exhibition being held at ExCel in London’s docklands. 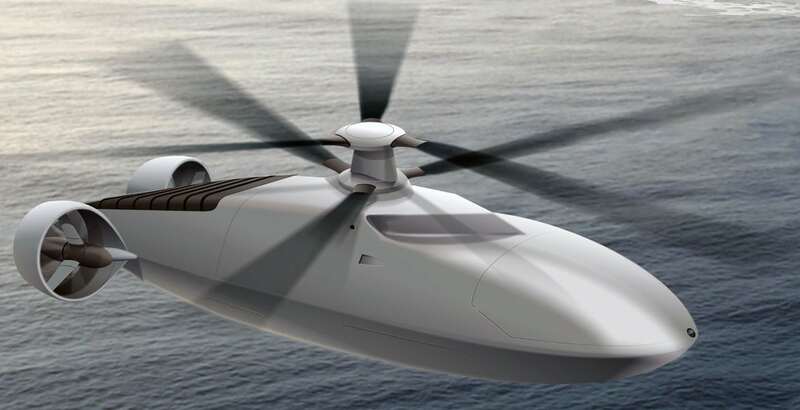 The first helicopter was the EC130 T2, flown by experimental test pilot Olivier Gensse. He has flown every Eurocopter in the company inventory with the exception of the Tiger attack helicopter. With wiring still evident on this pre-certification aircraft, he nevertheless took four passengers into the surprisingly spacious cockpit with two seats to spare (three front and four back). Following takeoff, we conducted a few maneuvers within the airport perimeter in ground effect, including an effortless glide sideways at 40 knots. Gensse said the climb rate was around 2,500 feet per minute. After further demonstrations, we learned the full understanding of the power delivered by the Turbomeca Arriel 2D engine as Gensse first climbed the helicopter vertically then did a stall turn. This was followed by another vertical climb with him pushing over at the top of the climb into a stable hover. From there the only way was down – which is exactly what we did, as Gensse pushed the nose forward into a vertical descent with a 180-degree turn on the way down and a recovery back to level flight. With five onboard, including the valuable cargo of MD Steinke, the power point was proven without doubt. Needless to say, with such a large amount of glass surrounding both pilot and passengers, visibility is excellent. Flying in the twin engine EC145 T2 with test pilot Diethelm Berndt was a more orderly affair with him demonstrating over 30 minutes the handling capability of the four-axis autopilot and dual-channel FADEC. The one-engine operative demonstration was carried out virtually seamlessly from the passenger point of view. Internally the six passenger seats installed for the demonstration were easily located in the cabin, and the rear clamshell door design gives visibility out of the rear of the aircraft for aircrew. EC145 T2 during a demonstration prior to Helitech International 2013. 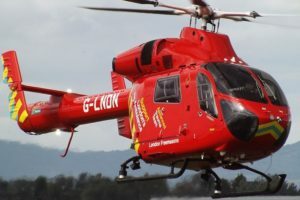 The flights were scheduled from Eurocopter UK’s home base at Oxford airport and at Denham aerodrome, a small airfield to the west of London but within the M25. 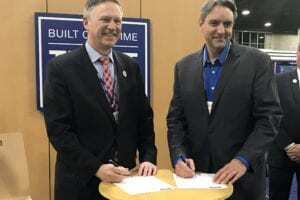 There were up to 100 invitees sourced from utility operators, police air support representatives and those directly involved in providing helicopter emergency medical services. Eurocopter’s EC130 T2 is the latest version of the lightweight single-engine Ecureuil product line. 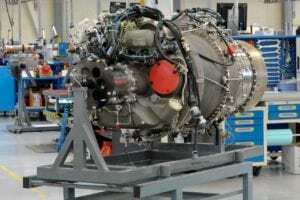 According to the company, around 70 percent of the EC130 T2’s airframe structure has been modified, including the incorporation of a more powerful Turbomeca Arriel 2D turboshaft engine and upgraded main gearbox. 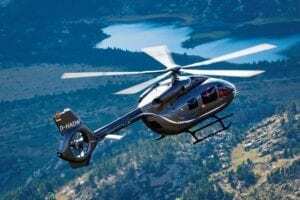 The twin-engine EC145 T2 also incorporates new Arriel 2E engines as well as a Fenestron shrouded tail rotor; upgraded main and tail rotor gearboxes; and new digital avionics suite with four-axis autopilot. 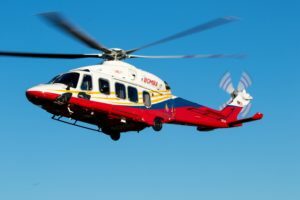 Once the Helitech opens on Tuesday, Eurocopter will exhibit a full-scale mock-up of its EC175 in corporate configuration along with two model other variants: the EC130 T2 Stylence and the EC145 T2, both shown as passenger carrying aircraft. In addition, an EC120 together with an EC145 in firefighting version will be displayed on the outdoor helipad, exhibiting their mission versatility. The company’s range of services initiatives will also be highlighted including performance-based services, consulting solutions through its Dublin-based subsidiary, demonstrations of its online information services such as e-Tech publications and other aspects of support.